Blue Birds is the 2016 Jefferson Cup Award Winner for Young Readers! Congratulations! BLUE BIRDS has won the Virginia Library Association’s 2016 Jefferson Cup for Young Readers! This award honors a distinguished biography, historical fiction, or American history book for young people. Anna took one look at me and asked if something was wrong. I must have had a strange expression on my face because I know for a fact I didn’t comprehend what I was reading. What was the Jefferson Cup Award? 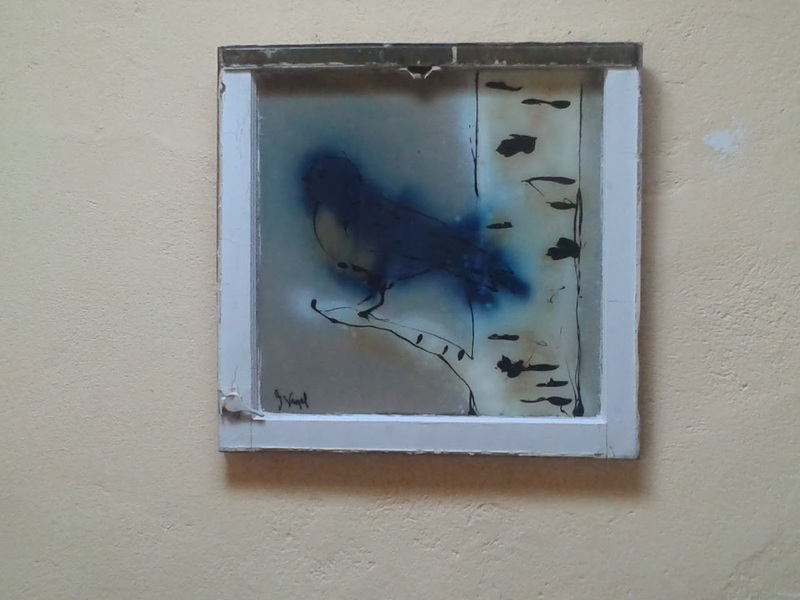 I figured Blue Birds had made some sort of special list, but certainly hadn’t won an award. When and how and where and why would that happen? The Jefferson Cup honors a distinguished biography, historical fiction or American history book for young people. Presented since 1983, the Jefferson Cup Committee’s goal is to promote reading about America’s past; to encourage the quality writing of United States history, biography and historical fiction for young people and to recognize authors in these disciplines. The committee has nine members: a chairperson (selected by the previous year’s committee), one person from each Virginia Library Association region (total of six persons) selected by the current chair, the chair of the previous year’s Jefferson Cup Committee, and the chairperson or outgoing chairperson of the Youth Services Forum. All committee members are members of VLA. I spent the rest of the day in a giddy state enhanced by the fact that one of the very people who’d inspired the friendship portrayed in Blue Birds was right by my side. In October I’ll fly to Virginia to receive the award along with verse novelist Melanie Crowder, whose book Audacity won the Young Adult division. It has not gone unnoticed that both Melanie’s book and mine are verse novels. I feel like this is a statement to the form’s ability to relay history in an accessible, meaningful way. The story of The Lost Colony is well known to most of the Jefferson Cup Committee members, since that event was a precursor to the settling of Jamestown, Virginia. Roanoke Island is quite familiar to me, as the Outer Banks of North Carolina are approximately an hour away from my home. Committee members found the beautifully written fictional story of Kimi and Alis, meeting during those tumultuous months on Roanoke Island, to be plausible and in agreement with theories of what became of the residents of the Lost Colony. Ms. Rose’s beautifully descriptive writing, the research, historical notes, and the glossary of Algonquin words impressed us all. 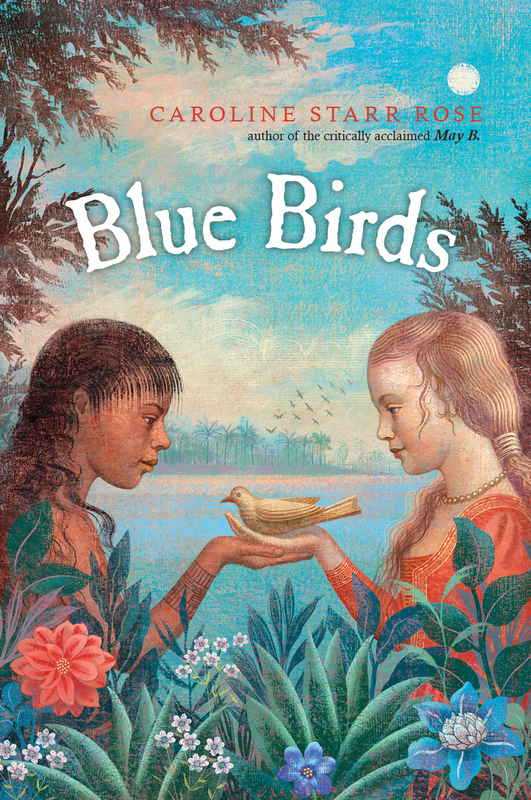 As the Jefferson Cup for Young Readers winner, Blue Birds will be among books highlighted at the upcoming Virginia Library Association’s Annual Conference. Blue Birds will be prominently featured on the Jefferson Cup Award website and in the annual Jefferson Cup Award brochure that is widely disseminated to librarians at the state and national levels. Thank you, Virginia Library Association. I’m beyond honored that you’ve chosen Blue Birds for this year’s award. As I’m in the midst of edits again, I’ve thought often of this post. Happy writing, friends. This quote has been running through my mind since July. There are so many ways for a work of art to fail. But thankfully there are even more opportunities to try and get it right. During the editing process, BLUE BIRDS has balanced on the edge of disaster again and again, but it has come back, stronger, clearer, more fully itself. And one day, I will set it free. It will be a separate thing from me. I’ll no longer need to stand by, ready to interpret or hold it steady. While I was reading Summer of Lost and Found I wanted to sit down and have a good talk with Rebecca. I hope this interview will read like the conversation I wish we’d had — because in many ways that’s exactly what it is: two authors talking about our experiences writing about the island of Roanoke. Have you been to the island of Roanoke? Your descriptions of the island, from the flora to the town of Manteo to the historical sites, were so vivid! Thanks! I have been to Roanoke, and I hope to visit the island again. I spent a week there when I was working on the third or fourth draft of the book. It was thrilling to visit a place that has captured my imagination since I was a kid. And the island didn’t disappoint me. I love traveling to places with a lot of history and a lot of natural beauty, and Roanoke certainly has both. I am a bit of a plant nerd (Nell’s mom has one of my dream careers), so I was really interested in the vegetation on the island—I took tons of photographs to document it. I found it interesting that my Alis and your Ambrose both contrast London with Roanoke. Such a different world it must have been for those 1587 colonists. And Nell experiences some of the same, coming to the island from New York City. I found the similarities in their impressions of Roanoke so interesting, too. I love the passage in Blue Birds in which Alis compares Roanoke with London. I think both Alis and Ambrose remark on how the island’s fresh smells are a delight, coming from the stinky streets of London. The contrast between those two places was something that I thought about a lot while writing the book—how jarring it must have been to travel from the London crowds to a less developed place. Moving is difficult, at any age and in any time period. But it’s hard to even imagine what an adjustment coming to Roanoke would have been for early colonists. While I was visiting the settlement site at the Roanoke Island Festival Park, one of the guides pointed out how important tradespeople were in the colonist community. They couldn’t buy building supplies for their new homes, so they needed woodworkers and blacksmiths. It made me wonder about things like the state of the colonists’ shoes—they couldn’t simply go purchase more if they wore them out while traipsing around the island. (Hopefully one of the colonists was a cobbler?) The colonists weren’t only leaving most of their worldly possessions behind, but also their ways of daily life. It’s funny, but I realized while making the trip from NYC to Roanoke that I was imitating/recreating the experience of my main character, Nell. I had already researched the island, but even so I found many things to surprise and delight me when I experienced it firsthand. Some of Nell’s observations are really based on my own—things I noted or was intrigued about, like how green and forested the island is, as opposed to sandy-beachy, or how some of Manteo’s architecture incorporates the look of English building styles. When I was writing Blue Birds, I sometimes struggled with the hazy aspects of the history. My editor was the one who taught me that history can be hazy but stories can’t. In other words, for the sake of the story, I had to come down on one side or the other when it came to certain events that historians are unsure about. What decisions did you have to make when creating Ambrose’s story about aspects of history that weren’t clear cut? I love that lesson from your editor—and I will use it in the future! When writing historical fiction, I have a hard time straying from facts. My tendency is to get bogged down in the details I’ve uncovered during research—I want to include every single interesting fact. I have to remind myself that my first priority is to tell the story, and overloading it with historical details, as fascinating as I find them, might not serve the story—or my reader. For example, at first I tried to incorporate real artifacts that have been uncovered in and around the island, but eventually I decided to fictionalize most of the ones in the book. The historical record so far doesn’t offer a definitive conclusion about what really happened to the Lost Colonists, and I found that both frustrating and kind of liberating. I was fortunate in that a Roanoke historian read the manuscript for me and critiqued the historical accuracy. Luckily, the choices I made about the more ambiguous elements were plausible enough that she didn’t object. There have been some great archaeological finds in the past few years (I think you and I had a Twitter conversation last summer about the Site X artifacts that made big news), so even if it makes some of the history in my book inaccurate, I hope at some point the truth is uncovered! It’s both strange and satisfying to read someone else’s story that deals with the same characters in mine, ones based on real people. I had the same experience when reading Cate of the Lost Colony , another Roanoke story. It’s almost like I’m in a club with a handful of authors. What was that like for you? I am thrilled to think that I’m now in the club of Roanoke authors! 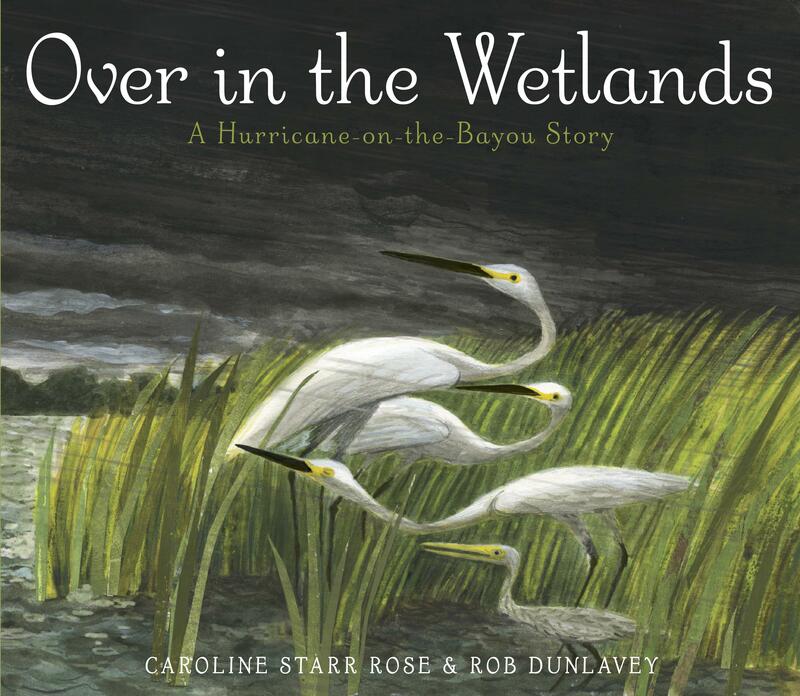 Before the book went off to copy edits, I only read nonfiction about the island and the Lost Colony. I was really concerned that other authors’ unique visions of Roanoke would influence mine. The day I turned in the last revision, I pulled my copy of Blue Birds off the shelf because I had been dying to read it. “Strange and satisfying” is a great way to describe reading other fiction about Roanoke. I felt like I knew your characters before I even met them on the page because the story and setting of Roanoke were so familiar to me. Some of Alis’s beautiful observations almost felt like déjà vu after spending so much time imagining characters that would be her contemporaries. But at the same time, your Roanoke story shed new light on the island and its history and people. I’ve incorporated this idea of how perspective affects historical fiction into a writing workshop—in which several kids choose the same historical setting, event, or character and independently write a short scene about it. When they compare their writing, it’s so interesting to see how much each writer’s perspective shifts the focus. Was there anyone from the 1587 colony that especially intrigued you? I was fascinated with Thomas Humfrey, the only child to travel to Roanoke without a parent. I originally had Thomas in my story, but later blended him with my George Howe Jr. character. Wow, I wasn’t aware of that part of Thomas Humfrey’s story—that is fascinating! What a brave kid. I thought a lot about George Howe Jr., actually, because of how his father died on the island. It was so sad to think of a child going through an experience like the long and trying journey to Roanoke, and then losing a parent—I think only six days after they arrived. Early on, I considered making George a central character in my book, but I ended up focusing on another colonist. Like Ambrose, Nell is missing her father and is lonely for a friend. What else do your two characters have in common? What does this show us about the past and the present? I think both Ambrose and Nell are very curious and loyal. Their friendship blossoms despite their city-country differences because they are both so passionate about exploring their surroundings and uncovering the history around them. 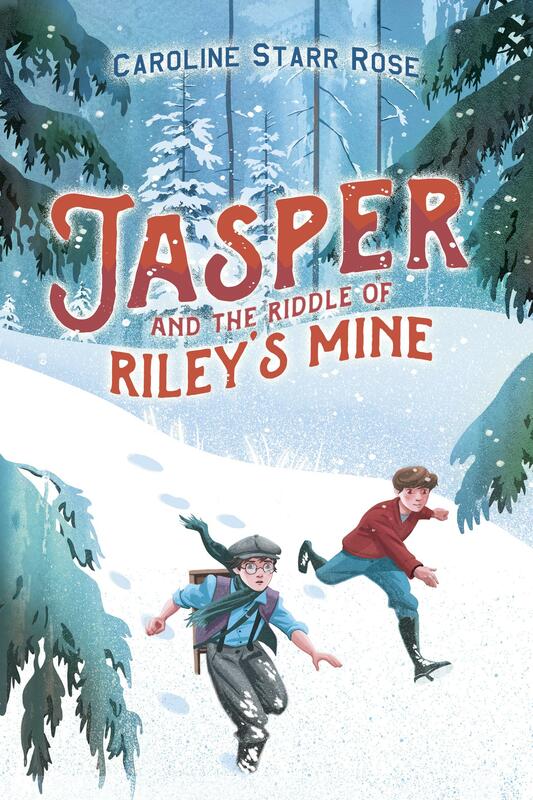 Now that you bring it up, what they have in common might show how being in that middle-grade “age of wonder,” and starting to discover the world around you, is a universal experience. I loved how the friendship between Kimi and Alis developed in Blue Birds, and seeing what those girls shared. It’s interesting that so many Roanoke stories express this theme in unique ways. I see we both read Lee Miller’s book, Roanoke: Solving the Mystery of the Lost Colony . What did you think of her theory that the pilot Simon Fernandez tried to sabotage the colonists and that abandoning them to Roanoke was part of the plan? I found that a really intriguing idea (I do like a good conspiracy theory! ), and Lee Miller makes a convincing argument. But I’m not convinced there is enough research to back it up at this point. For now I’m more inclined to think that Simon Fernandez was an opportunist—and probably a jerk—but not necessarily a saboteur. I’m curious to hear what you think about this! I’m with you on this one. In addition to Fernandez’s strong personality, I think John White wasn’t the strongest leader. It feels inevitable that they clashed. Speaking of Governor White, what do you think really happened once he left the island? This is the second book you’ve written that blends the past with the present. I’d love to hear your thoughts behind doing this. I’ve loved history, and historical fiction, since I was a kid. I think the books I’ve written that blend contemporary with historical are sort of a natural expression of that enthusiasm. I didn’t consciously try to do this, but the way my characters stumble onto history might reflect how my own fascination with it developed as a young reader—I’d come across a factoid or visit a historical site with my family and get completely wrapped up in that story of the past. Nell and Audrey (from my first book, When Audrey Met Alice) both do that. 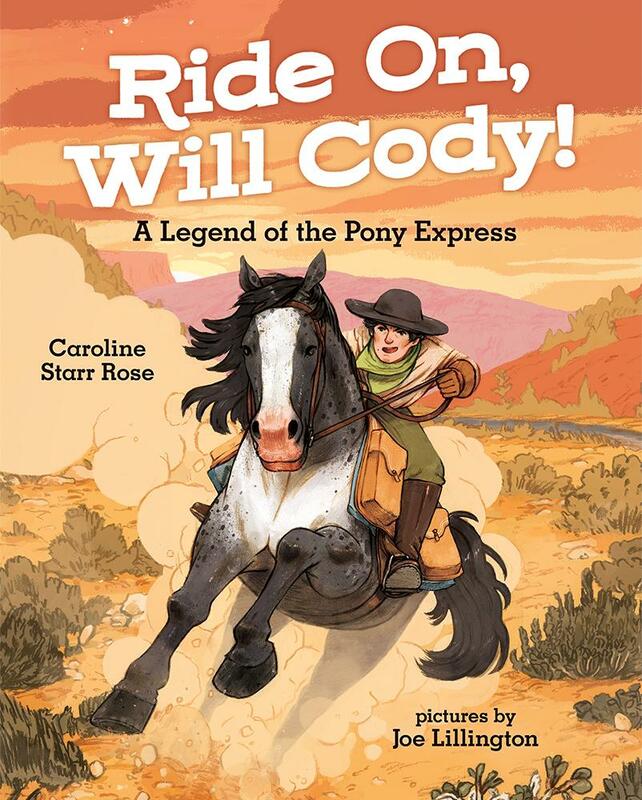 I do kind of hope readers might want to dig deeper into some of the historical content in my books—or that they inspire kids to explore whatever history topics fascinate them. I did just finish a third book, though, and it is all historical fiction. That was a new (and fun) writing challenge, to focus only on the past! Thank you so much, Rebecca, for indulging me in this conversation. I hope our paths cross in person someday soon. Readers, learn more about Rebecca and her books, including her newest release, The Summer of Lost and Found, at her website, www.rebeccabehrens.com. Recently one of our own in the KidLit community, Betsy MacLeod, and her husband John, were dealt a cruel blow when John was diagnosed with ALS (Lou Gehrig’s Disease). Beyond the heartbreaking reality of his diagnosis, John and Betsy are faced with enormous and mounting medical expenses, many of which are not covered by insurance. To help them financially and in spirit, we are offering wonderful items through this online Kidlit Auction, which will run from March 17th to March 30th, 2016. Signed books, artwork, manuscript critiques, vacation homes from Vermont and Cape Cod to Scotland, and more will help raise money to improve the quality of what remains of John’s life. Join me in supporting John and Betsy MacLeod. I’ve donated a full verse novel critique (which will include manuscript notes and an editorial letter) as well as a signed copy of Blue Birds. If you are an aspiring verse novelist or know someone who is, please spread the word. And please share with others you know who might be interested in supporting the MacLeod family. In 2009 I stopped teaching without any publishing prospects, but with the burning conviction it was time to put everything behind my efforts to finally sell a book. I did what every other aspiring author was doing then: I started a blog. A few months later, I signed with my first agent. Four months after that, May B. was under contract. Through highs and lows this blog has been a constant, a place for me to think through ideas, share bits of encouragement, introduce readers to new books, and celebrate my own. Whether you’ve been here from the beginning or are entirely new, I thank you for the ways you’ve added to the conversation and become a key part of my writing life. Over the next few months I plan to highlight key posts that have risen to the top. Today’s are the posts that are read most often (I wrote this before last week, when this post, now the top post of all time, went live). While my sense is most regular readers are aspiring writers, it’s interesting to note these posts almost exclusively speak to teachers, librarians, and parents looking to share books with their children. The first post in a series based on my experience running after-school book clubs, this post has been number one around here for years. Included in the post are links to the rest of the series. I love knowing that the second most-widely read post on the blog is essentially a love letter to my dear friend, Jamie C. Martin, whose own book comes out later this year. The post touches on the ways friends bolster and inspire us, in this case how Jamie pushed me to be brave when writing Blue Birds. Straight from my after-school book club days, this is the list I used with third-grade readers, plus a run down of everything I included in my Welcome to Book Club handout. Lynda’s had a pretty phenomenal year, hitting the NYT Bestseller’s List with her second middle-grade novel, Fish in a Tree , and going on to win the American Library Association’s Schneider Family Book Award, which “embodies an artistic expression of the disability experience for child and adolescent audiences.” This interview includes links to Lynda’s website and educator’s guide. This one’s been a favorite for a long time, with a number of oldie but goodies sure to inspire. Teacher turned author turned Scholastic Press guru, Donalyn Miller, has written two glorious books about reading and teaching that I devoured. This post is one of several that grew out of her second book, Reading in the Wild: The Book Whisperer’s Keys to Cultivating Lifelong Reading Habits . Read our interview based on Donalyn’s first book, The Book Whisperer: Awakening the Inner Reader in Every Child , here.